Save time and effort and use Costlocker's dedicated key combinations. Keyboard shortcuts are key combinations that help you move through Costlocker’s user interface faster and more conveniently. 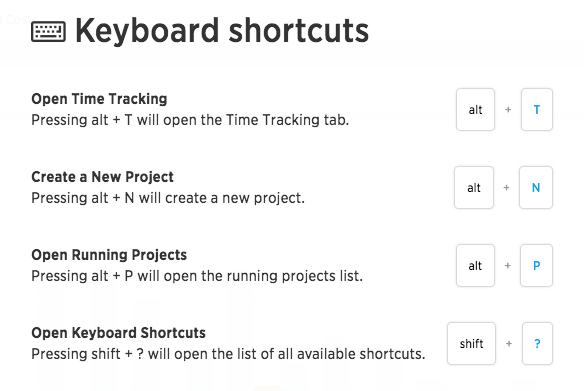 Missing any shortcuts? Let us know at feedback@costlocker.com.